Glock 26 vs. Glock 43 – Which Should You Buy? 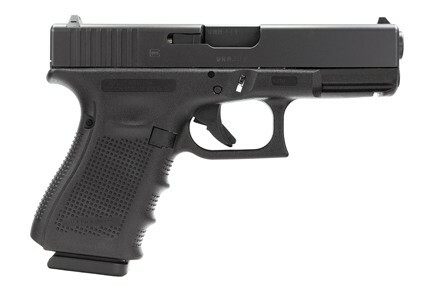 No matter where you are in the world, Glock is an instantly recognizable brand of short-recoil semi-automatic pistols. However, many new firearm enthusiasts are finding it hard having to choose between dozens of perfectly good weapons. Well, if you’re looking for a small gun you could easily conceal and carry, you’re in luck. 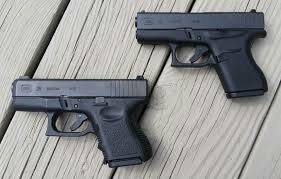 Glock has two excellent choices with their G26 and G43 firearms. Since they’re so similar, though, you might still find it difficult to come to a decision. That’s why I’ve decided to compare and review the two guns. I’ll look at both of their performances as far as precision and reliability is concerned, as well as the look and the feel of both guns. So, let’s see what these pistols can offer. But before we do, I’d like to talk about the company’s history in order to explain how our two choices came to be. In the 1980s, the Austrian armed forces needed to replace the firearms from WWII with new ones. They needed the new weapons to have removable and exchangeable parts, and be easy and safe to disassemble and clean. So, an engineer by the name of Gaston Glock got to work creating polymer-encased firearms. These primary goals of the Austrian Army, along with the polymer casing Glock designed, are now some of the most recognizable features of Glock pistols. After the Austrian Army had accepted Glock’s design, militaries and law enforcement services around the world followed suit. 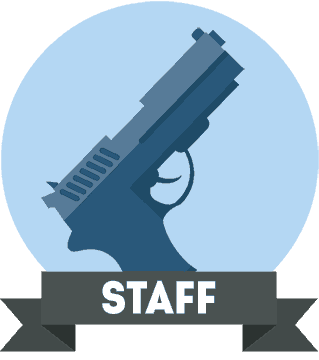 Due to the excellent performance of Glock guns on safety and performance checks, they soon gained in popularity as personal weapons as well. The polymer casing keeps Glock guns durable and sleek to this day. Additionally, since the polymer is nowhere near as heavy as the metal pistols used to be made of, Glocks are also much lighter and comfortable to carry around. The added comfort isn’t just good for concealed carry, though. It also allows us to get a better and steadier grip on the pistol, and achieve more precise shots. Now that we know a bit more about Glocks in general, let’s see how the Glock 26 compares to the newer 43 model. Before we start, it’s good to know that the 26 and 43 models both belong to the category of pistols affectionately known as “Baby Glocks”. In fact, back in 1994, the Glock 26 was the first model of the kind. Since then, the pistol has had several iterations, and it’s now in its fifth generation. As the name suggests, Baby Glocks are very small. That makes them ideal concealed carry weapons since they’re both just over 6 inches long, 4 inches tall, and barely over an inch wide. Also, both can hold 9mm rounds with 19mm cartridge cases. However, the 43 is definitely slightly smaller overall, and it’s even lighter. Without the magazine, the 26 weighs in at almost 20 ounces, while the 43 is just over 16. With fully-loaded magazines, they weigh in at 26 and 21 ounces, respectively. Because of the difference in size, some people might find the 43 a better choice for a concealed carry weapon than the 26. In my opinion, though, the difference is negligible, since you could carry both pistols comfortably. In fact, the bigger 26 is actually better than the 43 in many ways. Most notably, the 26 can hold more rounds than the 43. While the smaller gun only has room for 6 bullets in the single stack magazine and one in the barrel, the 26 has a 10+1 magazine capacity. The 26 can also use double stack magazine style, which can allow it to have even higher magazine capacities. So, the 26 can actually also have a magazine capacity of up to 33 rounds, according to the Glock website. And, let me tell you, those extra bullets can make a significant difference in an emergency. Both of the Glocks feel like premium-quality pistols. 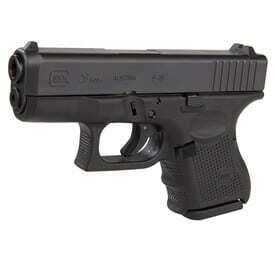 So, at this point in the comparison, I find myself leaning towards the Glock 26 with its larger capacity. Let’s see if seeing more features will change my mind. 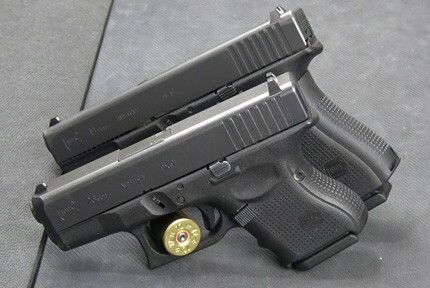 So, how do the Glock 26 and 43 handle? Well, with smaller firearms, there are always some concessions. However, that doesn’t necessarily mean that the gun is unmanageable. Due to the height of both of the guns, they’re not very comfortable to hold. In fact, even though the 43 is actually a bit taller than the original Baby Glock, it’s still not perfectly suited for an adult hand. Still, getting an extended magazine should help with this – though it would also detract from the very feature that makes these Glocks perfect concealed carry weapons. Both of the guns have Glock’s Safe Action shooting mechanism. There are three automatic fail-safes inside of the pistols’ firing systems, including the trigger, firing pin and drop safety. These features provide consistency when you pull the trigger repeatedly. 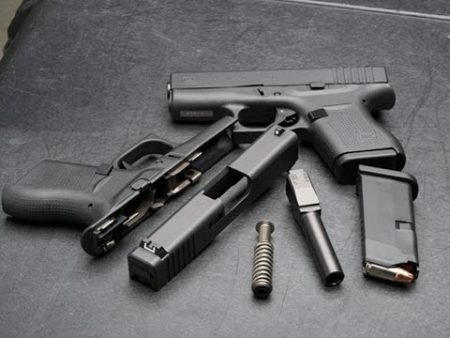 With proper maintenance, both guns will retain the durability Glock is famous for. Just like the Austrian Army wanted them to be, Glock guns are still easy to disassemble and take care of. So, since all Glocks are pretty much uniform in their precision and performance, there’s really not much else to be said about the performance of the 26 and 43. Basically, they’ll both perform well, even if the short stature of the gun takes some getting used to. Finally, we can spend a moment talking about the price of each of the pistols. Essentially, the Glock 26 is about $100 more expensive than the 43, at about $610. That means that the Glock 43 comes in at about $520. However, I imagine both of these guns are available at lower prices if you shop around and look for discounts. Still, I’m not even sure whether the price should be a part of this decision. After all, can we put a value on safety? Considering the larger magazine capacity of the 26, should we really be risking running out of ammo at an inopportune moment? I’m not sure. But, in the end, this will be a matter of personal preference. In fact, the smaller magazine might be just fine if you don’t anticipate having to shoot very often. Or if you’re only shooting for practice at a shooting range and have time to switch out magazines. Ultimately, the choice will be left up to individual buyers. As always, it’s important to consider all aspects of a pistol before buying. Consider what you need the pistol for, and go from there. If you just need a concealed carry weapon in order to feel safer on a daily basis, any of these two Baby Glocks will do. They’re both pretty compact, even though the 43 is technically smaller. If you’re one of those people who like keeping their guns in their pockets, these guns could work. 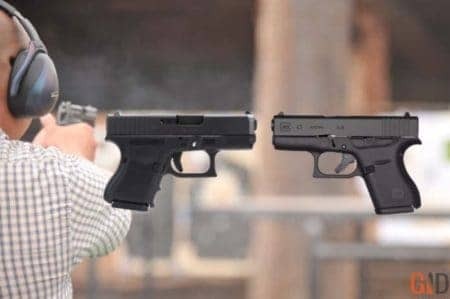 I mean, there are even smaller ones on the markets, but if you want a tried and true brand like Glock, you’ll have to take your pick out of these two. If you’re satisfied with having a semi-automatic pistol that only holds 6+1 rounds, go for the 43. However, if you find that you’ll need a bigger magazine capacity, the 26 is perfect. And you’ll be able to adjust the magazine capacity. But, as I said – the final choice is up to you. Born and raised in Missouri, Mark now lives in Murray with his wife and two sons. As a gun owner and hunting enthusiast he frequently participates in debates surrounding the Second Amendment.